Tis the season for Rudolph the Red-Nosed Reindeer, the 1964 stop-motion animated Christmas special from Rankin/Bass Productions when it was known as Videocraft International. 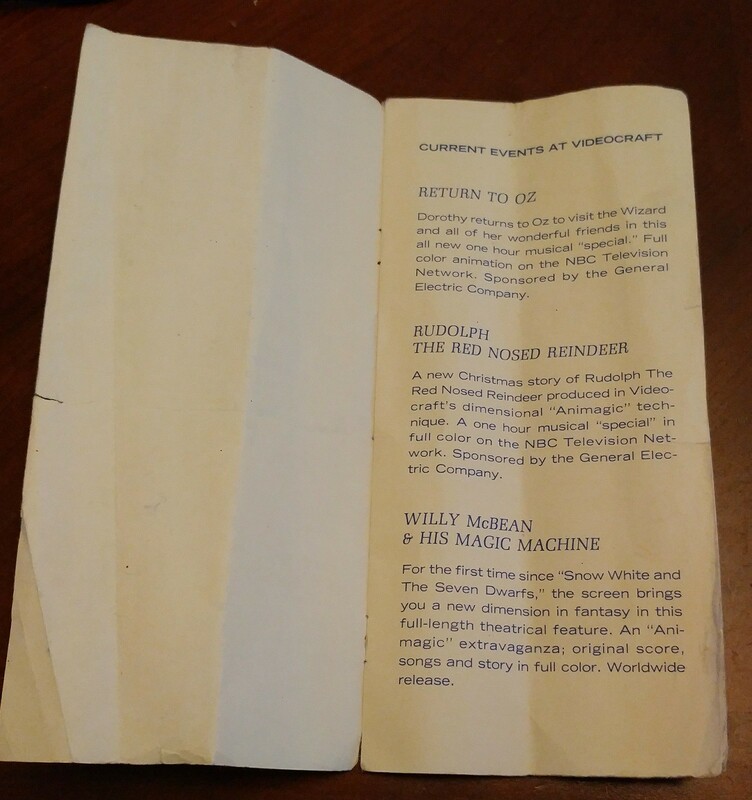 When Elliot Cowan visited me last April, he gave me an old Rankin/Bass brochure from his father, Bernard Cowan. You may recall all characters were portrayed by Canadian actors recorded at RCA studios in Toronto under the supervision of Bernard Cowan. 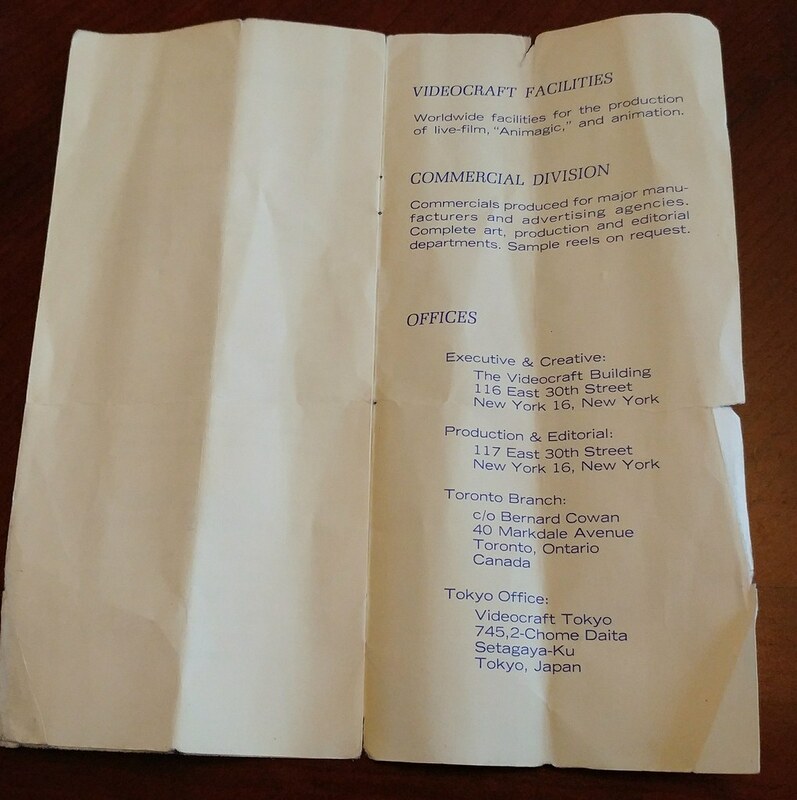 Here are pics I've taken of this old Videocraft International brochure. 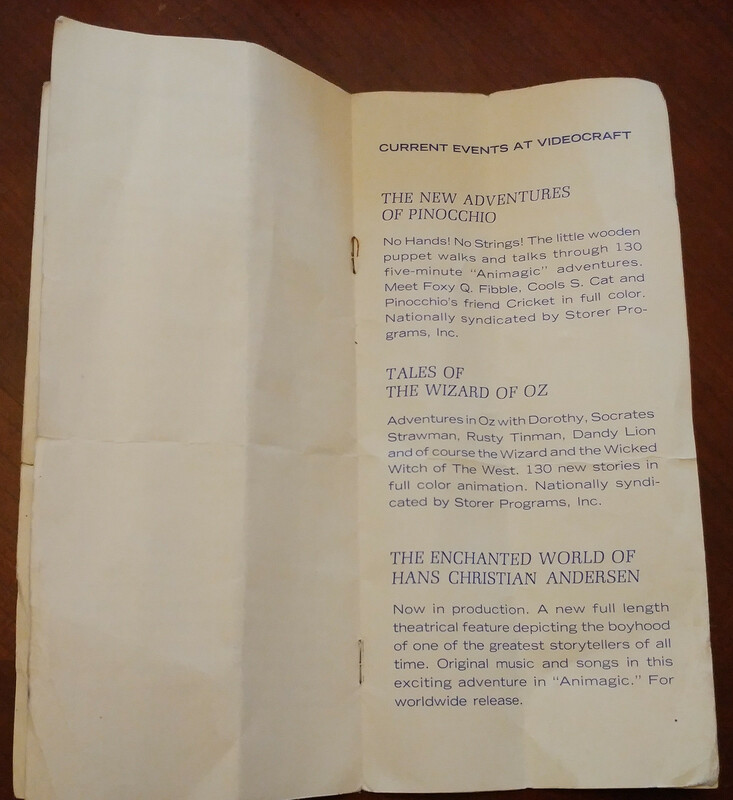 The logo on the last page looks an awful lot like the famous mouse's ears, doesn't it? You can bet that wasn't a coincidence! 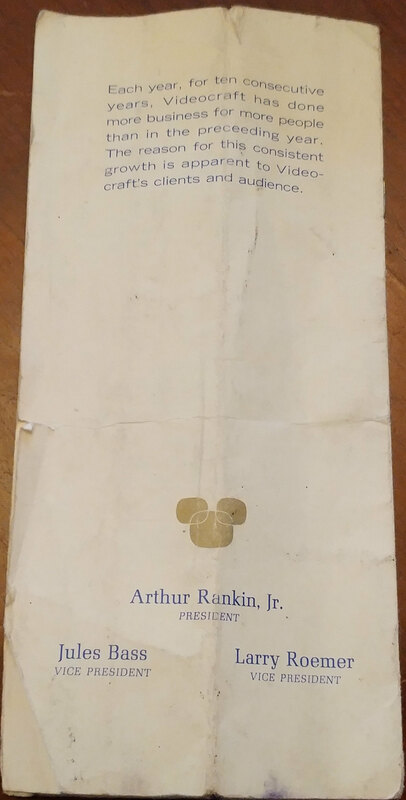 When they renamed Videocraft "Rankin/Bass Productions", they left the Mickey Mouse logo and went with this. Cool stuff. I've always loved stop motion for some reason. A few years ago my daughter and i made a stop motion movie during the summer holidays. It was hard work ,but fun i wish we had done some more. I always loved the audio/music logo for Rankin-Bass at the end of those cartoons. Very campy and 60s. Loved it! I watched Rudolph and frosty every single year as a kid. My wife too. We've passed it on to our kids who now watch (downloaded copies) many times each Christmas. I'd love to see some new or even remakes of old stop motion/claymation stuff.